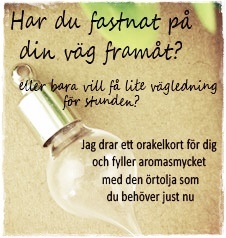 For about a year ago I attended a course with Camilla Hosenfelt in Medial- and personal development. So Lovely! 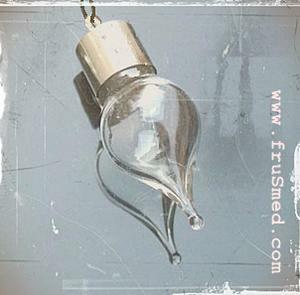 The charm is made of glass and silver-plated copper, also holds quite a few more essential oil drops (about 10 drops) than my other two aroma jewelleries I sell here on the shop, they hold about 3 dr.
Be careful when you screw the top of and of course also careful when you screw it back - so it is truly "locked". The glass pendant is appr. 3cm (and glass-part appr 1,5cm) and comes with a thin steel ball chain, 70cm.